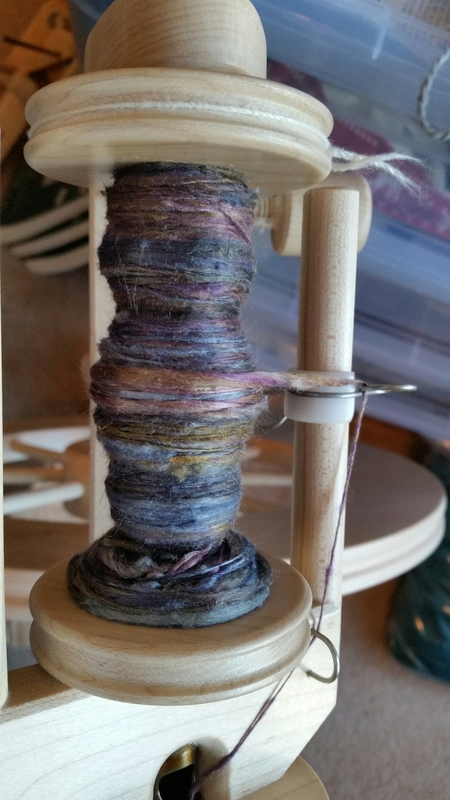 After spending most of the day in the kitchen (see today’s Real Food post), I finally got to sit down at my spinning wheel again. I’m spinning the last set of hankies, they are so lovely. BUT my hands are all rough from being in and out of water all day, so I had major snags going on. I did not let that stop me. I have four more hankies to go, and past experience informs that I can easily get one done per day during the week. I really want to finish and get this batch plied by Thursday evening, so I’ll have to push that a little. That should be fine.